Slurping is expected and encouraged. Best way to experience pho is with chopsticks in one hand and a spoon in the other. Slurp a bit of broth from your spoon and follow with the rice noodles in your chopsticks. Consume the protein and vegetables in any fashion and in any order. The soul of pho is the broth, so enjoy the aroma as well as the taste. Looking for something new? 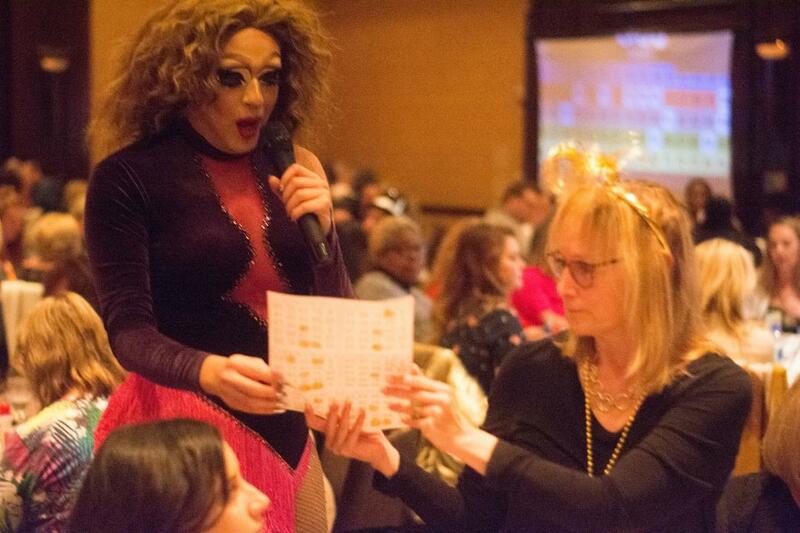 We were so we thought we’d try Drag Queen Bingo and do a bit of VAMPING! 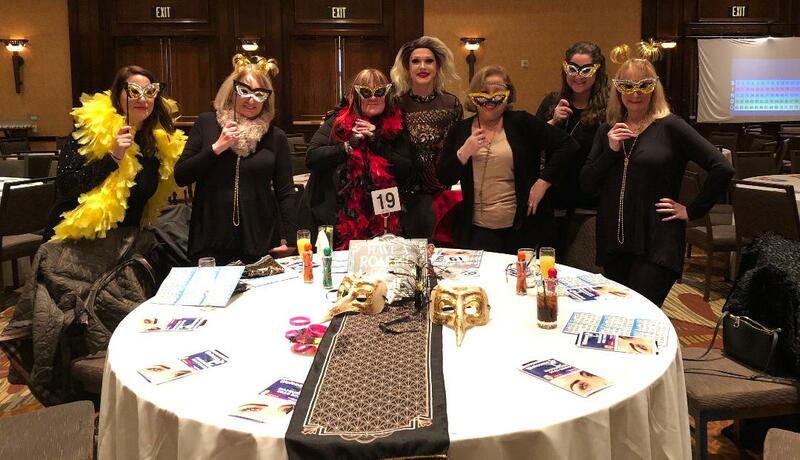 Throw in the masquerade party theme and we had Visions of an afternoon of laughs, entertainment and, of course, bingo. Well, not exactly. No laughs. Weak entertainment. But yes, a bit of bingo. There were six of us and we had enthusiastically dressed Vamp-like and sported masks and Barbara actually won a game, but her prize was rather pathetic. The event was very poorly organized – it ran close to three hours behind schedule, so we weren’t in the best of moods. Needless to say it wasn’t a fun day and we left at intermission. All in all, a VERY VEXING experience! Again, with an eye to our upcoming trip, we chose a movie set in VIETNAM. The movie Indochine takes place in French Indochina and is a story of a plantation owner (Catherine Deneuve) who adopts a young royal daughter of her deceased friends. Trouble begins years later when both women fall in love with a young naval officer, played by VINCENT Perez (he was definitely a wonderful V find). This 1993 winner of Oscar’s Best Foreign Film takes place during the colonial years when the French withdrew from the area and the country became known as Vietnam. We enjoyed the story but the best parts of the film were the scenery and photography. Beautiful! The least enjoyable aspect was the let down of the ending. Disappointing! But overall worth watching. Cheers to two VIVACIOUS sisters!